Some people don't see the correlation between electronics and visual arts. However, everything in life including science and math has a connection to art. Art is the product or process of deliberately arranging items (often with symbolic significance) in a way that influences and affects one or more of the senses. Therefore, electronic engineering seems to deserves it's own photo contest. Lenzr thinks so. The Lenzr judges want to see the visual symbolic significance of your electronics through photographic images taken by you. Sounds more complicated than it is. Just take your camera and use different angles and creative processes to capture the interior world of your electronic systems in your house, home or work. The Electronic Engineering online photo challenge is a change to grab your screw driver and see those tiny gadgets that lay beneath. Write a brief creative story to go with your photo for further enhancement. Have fun with the process, the judges like to be entertained like everyone else. There is nothing to lose because the contest is free to enter as many images as your like. It's easy too. People enjoy browsing through the pics and seeing different visual perspectives. Share your creative photographic process online and you may be chosen the winner of a new Apple iPad2. These new Apple iPads are easy to use and are finding their ways in even the school systems as augmentative communication techniques. The Apple prize is given to the winner thanks to a manufacturing company of the well-known tiny reed switch used in electronics and engineering. The announcement of the recipient of the prize can be viewed New Years day on the blog or shortly afterward depending on the state everyone is in. The first stage of the online voting will begin December 15th and continue on through the holiday season til christmas when the top ten online ranked photo will proceed to the actual Lenzr judges. Let your people know so you can get votes to make it to the top ten ranked. Christmas day is your last chance to do this. Remember the final decision is to be made on New Years day by the Lenzr judges and posted online on the blog. 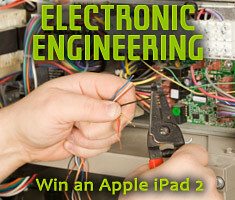 The winner gets a new Apple iPad2 to celebrate 2012 with further technology.